The ArtsinStark Education Center is located at 1014 Cleveland Avenue NW, across from Patrick’s Ice Cream. The entire space is 5,809 square feet with the overall capacity of holding 259 people, seating in the main stage (old church) part of the room with a stage. 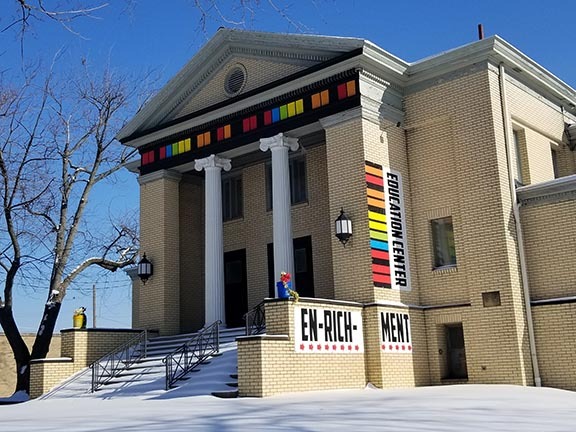 The Education Center is home to En-rich-ment, EN-RICH-MENT is a safe haven for youth who live in low income neighborhoods and come from diverse backgrounds. Programs offered provide an outlet for youth to express their needs and concerns. Yearly, EN-RICH-MENT touches the lives of over 100 youth. In addition, they receive information about healthy lifestyles, anti-bullying, and other worth-while topics from speakers WHO donate their time to the program. During the Summer(June-July), a free, seven week fine arts camp is offered.